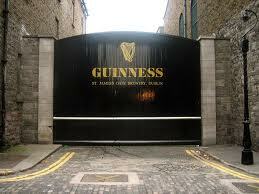 Diageo is reportedly planning to consolidate its beer operations at its world-famous St James’s Gate brewery in Dublin. The world’s biggest drinks company is drawing up a masterplan to send to city council chiefs as part of a €100 million-plus investment that could see parts of the 55-acre site either sold or redeveloped. According to The Irish Times, Diageo has already held discussions with Dublin City Council about drafting a masterplan for the brewery, which currently produces Guinness for the Irish, UK and US markets. The investment is designed to help secure the long-term future of the site.